Mardi Gras is next week, which means parades, beads, king cakes and, of course, elaborate masks. Mardi Gras masks have a long history, but in New Orleans, they were originally a way for people to join the parties on the streets anonymously. In New Orleans, masks are a fun and intricate way to celebrate Mardi Gras, but on resumes, masks are just ways to obscure candidates’ less than ideal traits. 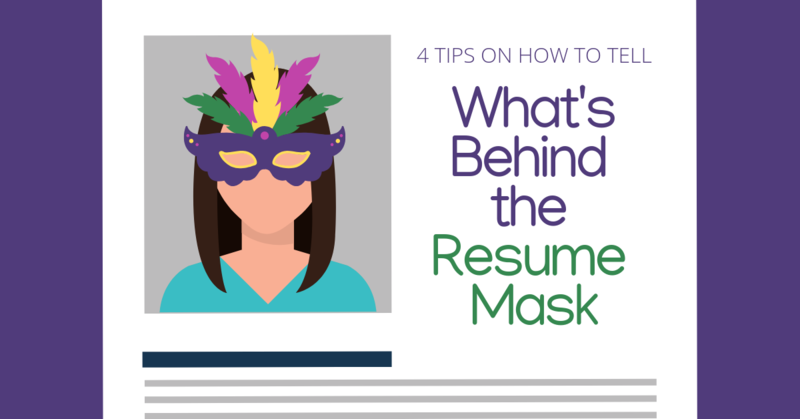 It turns out, lots of candidates use masks—a CareerBuilder survey found that 75 percent of hiring managers have found lies on resumes. Here are four ways to decipher fact from fiction and truly tell what’s behind the mask. One CareerBuilder survey respondent mentioned a candidate who claimed to be a CIA agent while he was in elementary school. While the lies aren’t usually this elaborate (and badly thought out), according to Monster, the second most common lie candidates tell on their resume is lying about the dates they worked at previous jobs. Candidates know that recruiters get nervous when they see long gaps between jobs, so candidates will stretch how long they worked at their jobs to decrease that gap. During your hiring process, try to ask specific questions about the timing around candidates’ previous work experiences and even verify their work experience with a background screening company. Candidates also stretch the truth about their skills. This ranges from exaggerating their knowledge of Excel to lying about a language they can speak or a software program they can run. The best way to test a candidate’s skills knowledge? Literally test it! There are lots of software, Excel, language and typing tests out there. Google uses these tests, and they found that skills tests were the most effective way of determining a candidate’s true qualifications. Check out seven times public officials got caught lying on their resumes. A smart applicant will be able to tell what you want in a candidate by thoroughly looking at your job posting. They’ll adjust their job titles and skills to the keywords you use. These masks aren’t necessarily lies, but rather expansions on the truth. There’s actually something to be said for a candidate who has the skills to know what you want, but you should also look for a candidate who is genuine. 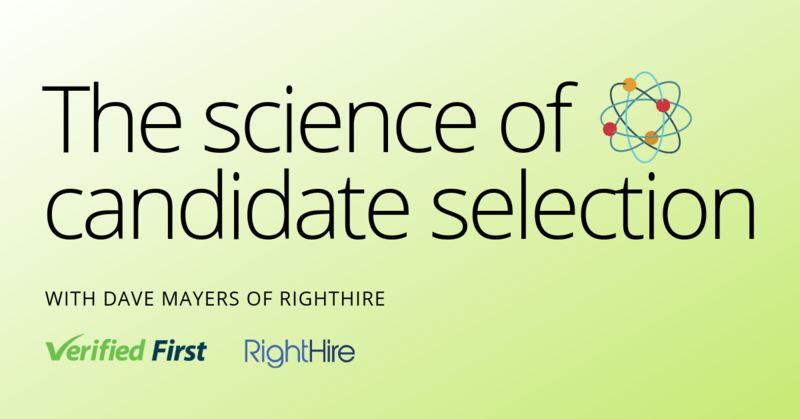 To test their personality, catch your candidates off guard. According to LinkedIn, Warby Parker asks questions like “What was the last costume you wore?” and Slack asks “What do you want to be when you grow up?” These questions force candidates to take off their mask and be genuine, in a way that is pleasant for both the candidate and the recruiter. 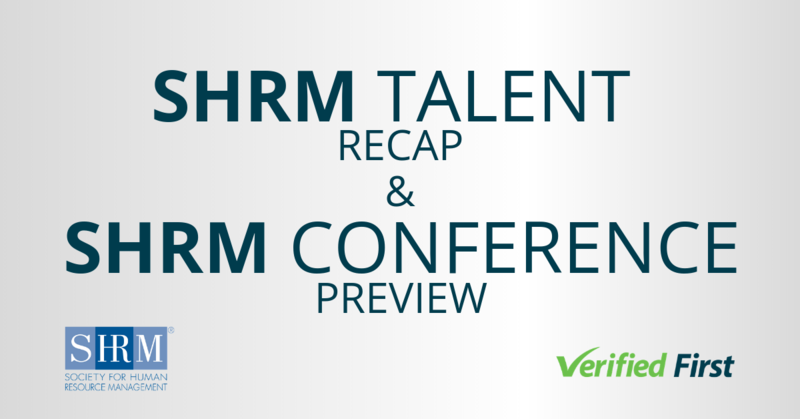 One CareerBuilder survey found that 33 percent of lies on resumes have to do with academics. Sometimes lies about a candidate’s education are something simple like a rounded up GPA. Other times, candidates say they went to Harvard when they’ve never stepped foot in Massachusetts. The tricky thing about education lies is they’re harder to catch during the interview process. The best way to determine the truth about a candidate’s education, and in fact, their whole history, is a background check. A thorough background screening will confirm their education history, check for any criminal background, and verify the timing of their previous jobs. To take a peek behind your candidate’s masks in a compliant, easy and timely way, use a qualified background screening provider.